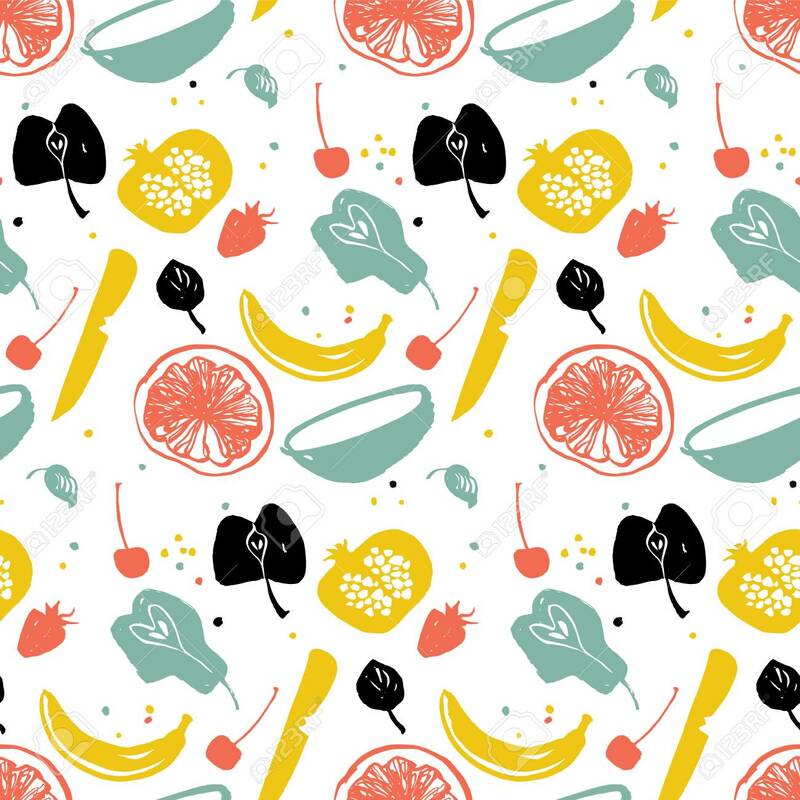 Fruit Pattern With Pear, Banana, Citrus And Pomegranate. Healthy.. Royalty Free Cliparts, Vectors, And Stock Illustration. Image 113911596.